While writing and recording a blues, folk, and rock and roll, I needed a cigar box slide guitar sound on several tracks. I made one to record and was hooked. 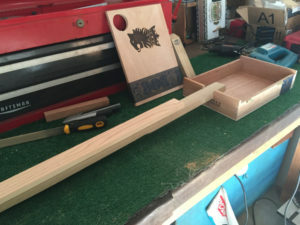 Now my garage has been converted into a full shop and I makes and sell my original cigar box guitars online as well as at local festivals and fairs.Take a look at my complete line of cigar box guitars. Each guitar is unique and hand built for slide players, different woods and boxes create an individual look and sound. They are made for slide and with the fret marks on top of the neck for you to see while you play! They are stringed with low open G “Blues” GDG tuning – acoustic medium strings. Made to play blues slide. If you see a box or two that you like, shoot me a message I can make a recording of them and send it to you to help you make up your mind! Check out Jonny’s cigar box guitars! Trace evidence of cigar box instruments exists from 1840 to the 1860s. The earliest known illustration of a cigar box instrument is an etching copyrighted in 1876 of two American Civil War soldiers at a campsite, one of whom is playing a cigar box fiddle. The etching was created by illustrator and artist Edwin Forbes, who, under the banner of Frank Leslie’s Illustrated Newspaper, worked for the Union Army. The etching was included in Forbes’s work Life Stories of the Great Army. In the etching, the fiddle clearly shows the brand “Figaro” on the cigar box. In addition to the etching, plans for a cigar box banjo were published by Daniel Carter Beard, co-founder of the Boy Scouts of America, in 1884 as part of Christmas Eve with Uncle Enos. The plans, retitled “How to Build an Uncle Enos Banjo”, were included in the 1890 edition of Beard’s American Boy’s Handy Book as supplementary material at the back of the book. These plans omitted the story but still showed a step-by-step description of a playable five-string fretless banjo made from a cigar box. It would seem that the earliest cigar box instruments would be crude and primitive, but this is not always the case. According to William Jehle, curator of The Cigar Box Guitar Museum and the author of One Man’s Trash: A History of the Cigar Box Guitar, the museum acquired two cigar box fiddles built in 1886 and 1889 that seem very playable and well built. 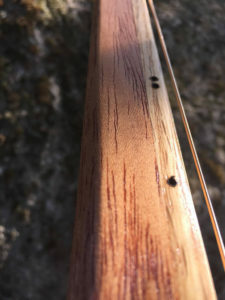 The 1886 fiddle was made for an 8-year-old boy and is certainly playable, but the 1889 fiddle has a well-carved neck and slotted violin headstock. The latter instrument was made for serious playing. Cigar box guitars and fiddles were also important in the rise of jug bands and blues. 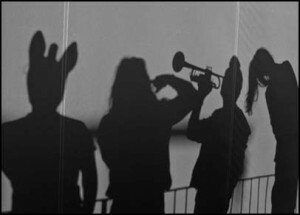 As most of these performers were black Americans living in poverty, many could not afford a “real” instrument. Using these, along with the washtub bass (similar to the cigar box guitar), jug, washboard, and harmonica, black musicians performed blues during socializations. The Great Depression of the 1930s saw a resurgence of homemade musical instruments. Times were hard in the American South, and sitting on the front porch singing away the blues was a popular pastime. Musical instruments were beyond the means of most people, but with an old cigar box, a piece of broom handle and a couple of wires from the screen door, a guitar was born. 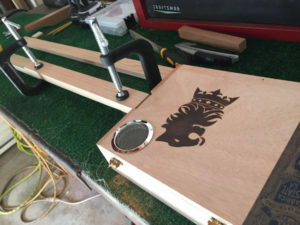 A modern revival of these instruments (also known as the Cigar Box Guitar Revolution) has been gathering momentum with an increase in the number of cigar box guitar builders and performers. A loose-knit group of underground musicians tour the East Coast of the United States each summer under the banner “Masters of the Cigar Box Guitar Tour.” These musicians include Doctor Oakroot, Johnny Lowebow, Tomi-O and many others. 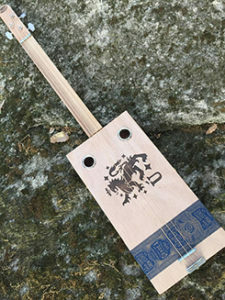 A growing number of primitive luthiers are adding cigar box guitars to their items for sale. 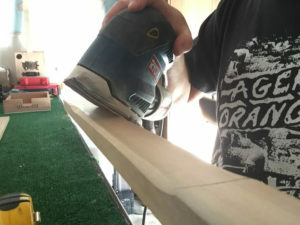 The modern revival is sometimes due to interest in jug bands and the DIY culture, as a cigar box is inexpensive in comparison with other factors, such as strings and construction time. 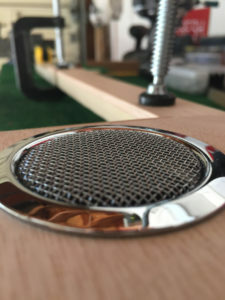 Many modern cigar box guitar makers can be seen as practitioners of a type of lutherie and implement various personal touches, such as the addition of pickups and resonator cones. Jonny was reared in Washington State on a wheat farm where he picked up things like “Jeet” and “I sure do like you, wanna be my girl?” His innocence was short lived, you see he packed up and moved to the city and found hip-hop in San Francisco where he started the group Rooster. Rooster signed with Chrysalis Music Group in 1996. They released “Buick Regal” later that year. The album was a throwback to swamp stomp New Orleans Hick-Hop. After the release of Palookaville, Jonny Quality supported Fatboy Slim on tour in the UK, Europe and the US. 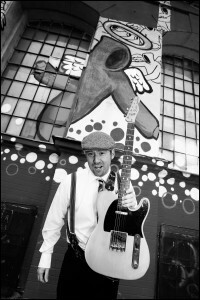 Jonny also played guitar for Fatboy Slim on countless radio and television programs including: MTV, The Conan O’Brien Show and The Jonathan Ross Show on the BBC. After a relentless tour schedule with Fatboy Slim, Jonny packed his guitars and set-off to Italy. While recording in the hills in central Italy, Jonny started Daltonico Studios. Daltonico Studios, a songwriter’s paradise, built in a 14th century farmhouse with a view of the mountains of Umbria. A studio designed for inspiration, Daltonico is a place where artists could get away from it all and write their next project. Besides recording various artists at Daltonico, Jonny hosted and recorded various songwriting workshops for Chris Difford (ex-Squeeze.) 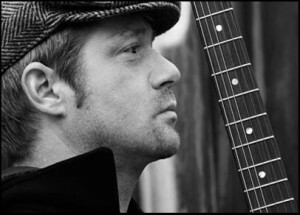 Although charmed by Italian life, Jonny missed performing and recording his music. Jonny again set-out to make his own music. This time in Central Europe. Jonny came to Prague, Czech Republic. He quickly formed 5 Foot Assassins. The Assassins toured Europe, UK and Ireland. Summer festivals ablaze with Jonny’s Fender Telecaster sound. Jonny also was a music critic for the Czech music television program Music Blok.